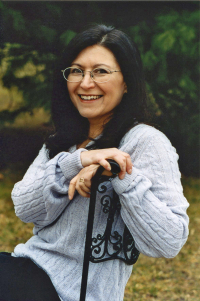 Lynn Levin is a poet, writer, and translator. She is the author of six books, most recently: Miss Plastique (Ragged Sky Press, 2013), a 2014 Next Generation Indie Book Awards finalist in poetry; as co-author, Poems for the Writing: Prompts for Poets (Texture Press, 2013), a 2014 Next Generation Indie Book Awards finalist in education/academic books; and a translation from the Spanish, Birds on the Kiswar Tree (2Leaf Press, 2014), a collection of poems by the Peruvian Andean poet Odi Gonzales. Her other books include Fair Creatures of an Hour (Loonfeather Press, 2009), a 2010 Next Generation Indie Book Awards finalist in poetry; Imaginarium (Loonfeather Press, 2005), a finalist for ForeWord Magazine’s Book of the Year Award; and A Few Questions about Paradise (Loonfeather Press, 2000). Lynn Levin’s poems have appeared in Ploughshares, Boulevard, Washington Square Review, The Hopkins Review, Cimarron Review, 5 A.M., Kerem, Verse Daily, and on Garrison Keillor’s radio show The Writer’s Almanac. She has published essays in Southwest Review, Michigan Quarterly Review, Contemporary Poetry Review, Alimentum, Wild River Review, and other places. Her short fiction appears in Cleaver, The Rag, Rathalla Review, Per Contra, Green Hills Literary Lantern, and YARN. She teaches at the University of Pennsylvania and Drexel University.